Was this map printed in red-and-black in the UK but only in black in the US, in the first edition Silmarillions? Same question about Númenórë in UT, I suppose. Think that's correct. Haven't examined enough US copies but I think they were only ever in B&W. UK copies of The Silmarillion always included red. 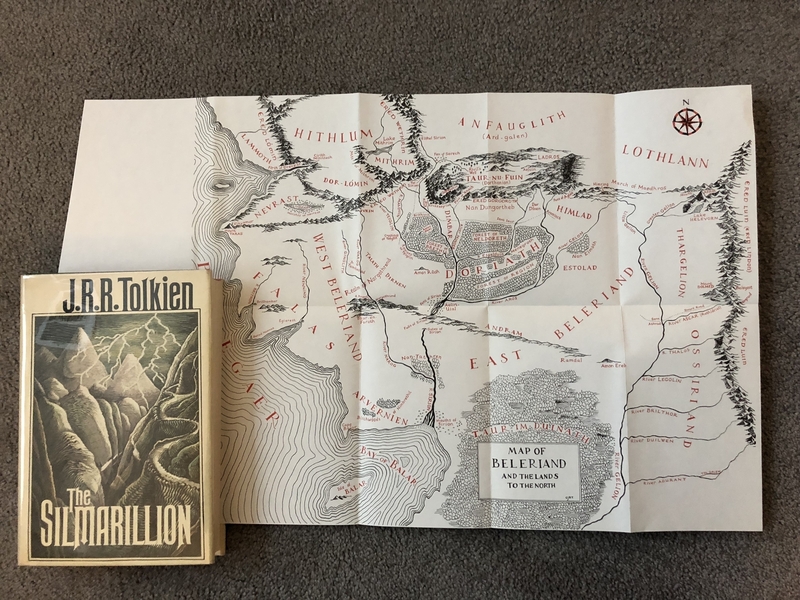 The first US edition of The Silmarillion has red and black map. [EDIT] - and now, having read your question correctly, you are right - the *interior* map of "The Realms of the Noldor and the Sindar" (facing page 120 in the 1st US edition) is only in black and white. I haven't seen that one reproduced with red ever. Side note - the map is facing a different page (114) in the book club edition since I gave that a peek while I was checking. I feared as much. Thanks. What about the first Nasmith edition? What about the current Deluxe edition? Current deluxe: red and black. First Nasmith - black and white at the back.